For the first WRSE24 we had over 2500 unique viewers registered from 61 countries (58 on the day). In February 2015, with EAU approval, ten robotic centers from 4 continents planned to stream live surgery continuously for 24hrs. Following previously published EAU Policy on Live Surgery Events (LSE’s), whilst ongoing live surgery at conferences is assured, there remains debate as to how best we can optimise this form of training. The EAU panel reached >80% consensus view that performing live surgery from home institutions may be safer, identifying several issues with a ‘‘travelling surgeon’’. 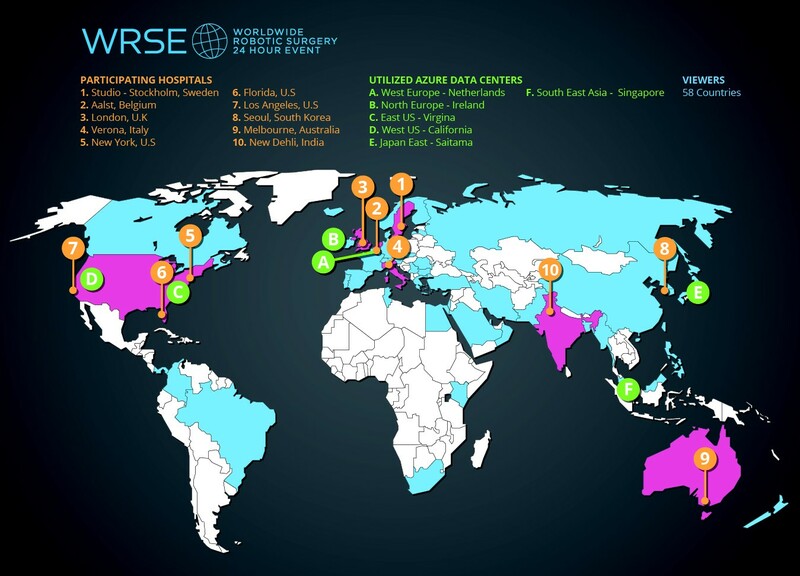 A BJUI poll related to the first WRSE24 found that 76% of respondents would ‘attend’ a streamed virtual surgical conference rather than travel if accreditation were the same, further indicating the potential for uptake into training and education events. The outcome from the first event surpassed many of our expectations. Registrants came from 61 countries. 1390 unique viewers visited the www.WRSE24.org website during the live 24 hours and this number increased to 2277 over the next 6 days. The event was well received by industry and the project was a finalist in the category of “Innovative Technology for Good Citizenship” at the prestigious Microsoft Partnership awards held in July 2015, which received over 2,300 nominations from 108 different countries. We are also delighted to announce that the forthcoming WRSE24 will involve surgeons from 2 more continents making it the first live urological conference to have contributors from 6 continents. As well as all the surgeons previously involved we will be joined by 5 new surgeons including 2 additional robotic centres: Clinique St Augustin (Dr Richard Gaston and Professor Thierry Piechaud) and Sao Paulo University Hospital (Dr Rafael Coelho). Benjamin Challacombe will be operating from Guys Hospital, London and Ketan Badani will be operating from Mount Sinai, New York. 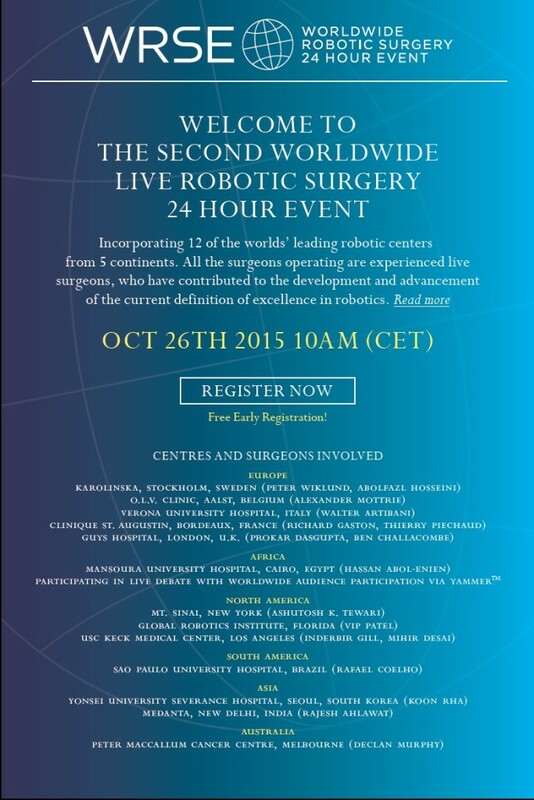 Our aim is to stream live surgery from 12 leading robotic centres, a list of whom can be seen below. Finally we will have a live teleconference link via Skype between Professor Hassan Abol-Enien from the world famous Mansoura University Hospital and Professor Peter Wiklund at Karolinska. The second event will also see the 24hour studio sessions split into six 4hour sessions. The contributing centres are Karolinska Stockholm, OLV Aalst, Guys London, Mt Sinai New York and Keck USC, Los Angeles. The first event was primarily focused on providing access to live streamed HD video of world leading surgeons operating in their normal working day, with their expert teams. The second event plans to build on this format with more audience participation utilizing social media. We are working with LiveArena™ and Microsoft™ to optomise this aspect. There will be improved opportunities to ask questions to the surgeons utilizing a Microsoft Yammer ™ app that will be integrated into the WRSE24 site or via twitter using #wrse24. Although the concept of a Twitter backchannel at educational events has become familiar, future approaches may be able to improve on ways of communicating within a global audience. Our aim for the 2nd WRSE24 is to enliven virtual participation, widening access to a fuller, interactive, experience for the online audience, with an emphasis on conversation, connection and crowd sourcing of opinions. To highlight the benefits of crowd sourcing of opinions we are planning an ambitious project to have an interactive live debate between Mansoura University Hospital and Karolinska University Hospital. 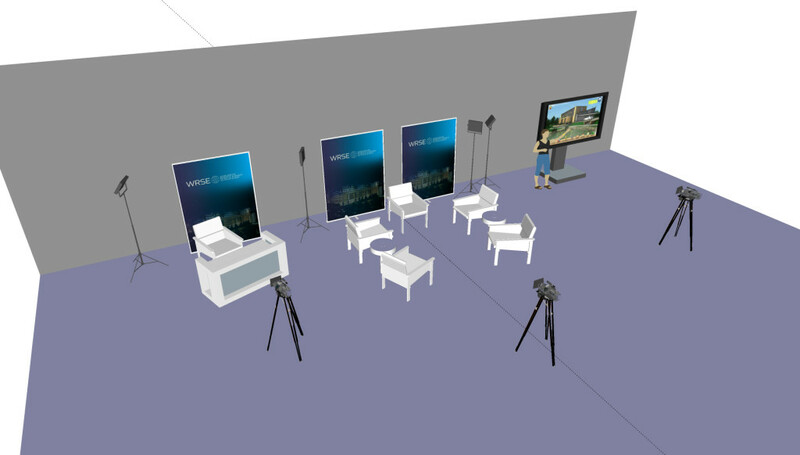 This will include polling technologies available via Yammer™, so that the second part of this planned live discussion will potentially be guided by the opinions of the global audience. A research-group at Stockholm University, with a specialist interest in Social Media are also working closely with WRSE24 to help interpret this data, so that we can learn from this event. Looking forward to the big event! Great work to the organizing team on putting this tremendous undertaking together. The team at Guy's are LIVE with a robotic nephrectomy in a BMI 41 patient #WRSE24. The longer arms make access easier. Fantastic collaborative event to be part of. 34 hours of broadcast surgery and 50 excellent presentations from Oct 26/27th 24 hour event still available to see online at www.wrse24.org We will soon put links on the WRSE24 website access to all surgeries from the first February event as well. The patient perspective from Guy's has been covered by the Evening Standard, our London evening newspaper, who sent a journalist to us. Since then it has had national coverage. Our team enjoyed the opportunity to be a part of an international event twice this year. I wanted to take this opportunity to thank everyone - surgeons, nurses, anaesthetists, fellows, researchers, students, managers, communications, IT experts, the patient and her family for making this possible.